Accion Microfinance Bank (Accion MfB), founded in 2006, is one of Nigeria’s most successful microfinance institutions. 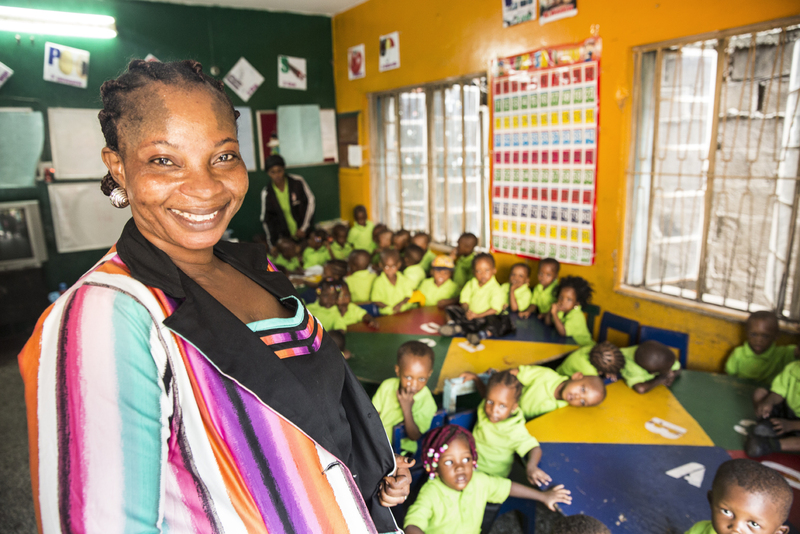 Headquartered in the capital city of Lagos and with more than 130 locations across the country, Accion MfB provides loans and savings products to low-income customers. Much of its clientele is made up of microentrepreneurs running small businesses, such as retail shops, in urban and peri-urban settings. For microfinance institutions, risk management is a delicate balance. Serving a client base that is vulnerable to cash flow challenges is inherently risky. But with the right tools and processes in place, it’s possible to build a sustainable, thriving credit and savings business that empowers and protects low-income customers. For over a decade, Accion Global Advisory Solutions has worked with Accion MfB on various projects, including implementing “branchless banking” services, developing a digital strategy, and designing new loan and savings products. Over multiple engagements, it has focused on establishing and refining the bank’s risk management processes. One area the Accion advisory team supported Accion MfB with was developing systems to gather and monitor up-to-date information on the bank’s credit risk. This helped Accion MfB management make better-informed decisions. At the same time, it simplified the process of approving and disbursing loans, giving borrowers faster access to funds and making the bank more competitive. Accion advisors worked with the Accion MfB staff, building their capacity to produce portfolio risk management reports. They developed an automated process that extracts data from the core banking and loan management systems and imports it into templates that require no specialized software. During another engagement, Accion’s advisory team and Accion MfB built credit scoring algorithms. They configured tools using behavioral data, like a client’s payment history, and sociodemographic data, like gender, age, and income to more accurately and efficiently assess applicants’ creditworthiness. Six months after implementing the scores, Accion MfB had cut its portfolio at risk — the percentage of its loan portfolio in arrears — nearly in half. It also more than doubled the number of renewed loans per loan officer. The simplified loan evaluation processes also allowed Accion MfB to reduce training expenses. Over the years, the two organizations have also collaborated on designing separate scoring systems for new and existing clients and developing a business ranking tool that segmented clients based on their industry and financial health. With all these new risk management tools in hand, Accion MfB now has faster, simpler, more streamlined credit evaluation, loan approval, and collections processes. Accion MfB’s commitment to effective risk management and its robust new tools and systems have made the organization one to follow. Regulators have repeatedly invited Accion MfB leaders to give learning talks to other microfinance institutions in the country. There is much for clients to appreciate as well: not only how fast the application and approval processes are now, but also the assurance that the loan is tailored to their own financial circumstances, making it unlikely they’ll encounter repayment problems. The combination of Accion MFB management’s attention to its risk management processes and Accion’s expertise in cutting-edge credit and risk evaluation tools has built a solid foundation for the bank to continue as a leader in inclusive financial services in Nigeria.